Following in the tyre tracks of the larger Cherokee Night Eagle, which was launched in the UK last November, the new Renegade version is similarly based on the Longitude mid-range level, but adds in features such as unique 17-inch black alloy wheels, rear parking sensors, satin grey Jeep badges and unique Night Eagle badge, coloured roof bars and side mirrors, and satin grey grille rings on a black front grille. Designed to enhance the Renegade’s popular and striking design, the new Night Eagle is limited to just 350 examples for the UK, when it goes on sale today (1 February). Of these, just 160 will be available in the unique Volcano Sand matt paint finish, which complements the two other available colours: Carbon Black and Alpine White. Inside, the Renegade Night Eagle is enhanced with exclusive seats in bark brown fabric with electric lumbar support for the driver, leather wrapped steering wheel, dual zone climate control, DAB UConnect radio with 5-inch touchscreen, Bluetooth and satnav, and cruise control. A limited number of options are also available to further enhance the Renegade Night Eagle, including electric panoramic sunroof, heated front seats and steering wheel, and regular size spare tyre. Power comes from a choice of MultiJet II diesel engines, both combined with Jeep’s six-speed manual transmission: the 1.6-litre 120hp with two-wheel drive, or the 2.0-litre 140hp unit, driving all four wheels. This gives the car a top speed of 111 mph (113 mph 2.0-litre 4WD) and 0-62 mph acceleration in 10.2 seconds (9.5 seconds). 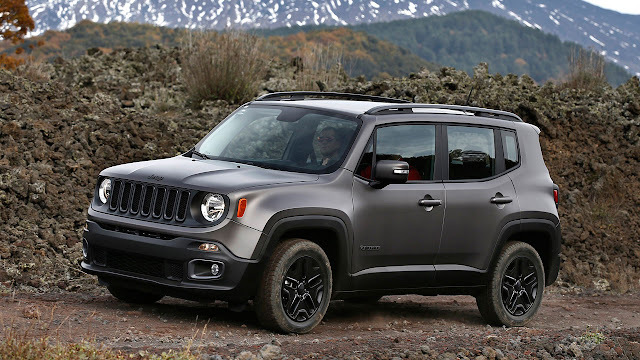 The Renegade Night Eagle can still return 64.2 mpg (55.4 mpg) fuel economy on the combined cycle. 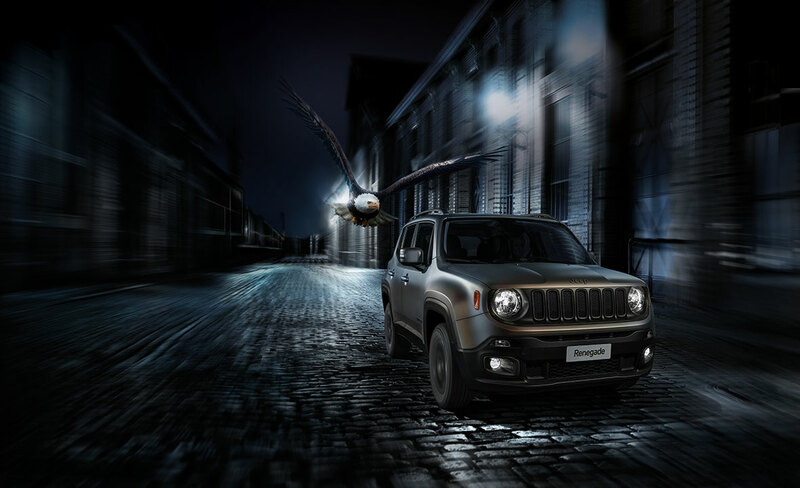 The new Jeep Renegade Night Eagle costs £21,595 OTR for the 1.6 MultiJet II 120hp 2WD, and £24,095 OTR for the 2.0 MultiJet II 140hp 4WD.